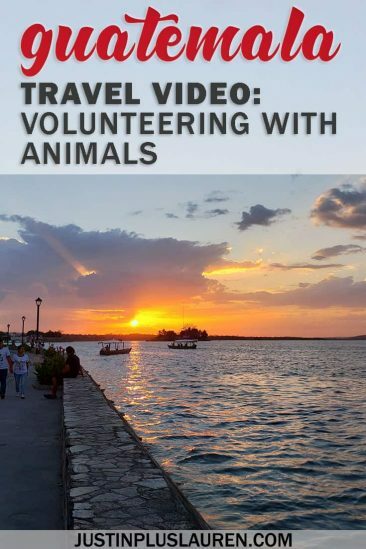 Here’s my Guatemala video and travel vlog all about volunteering with animals. I recently returned from a trip to Central America volunteering with Animal Experience International on their latest group expedition. A group of five fearless Canadian ladies (including me and my sister!) 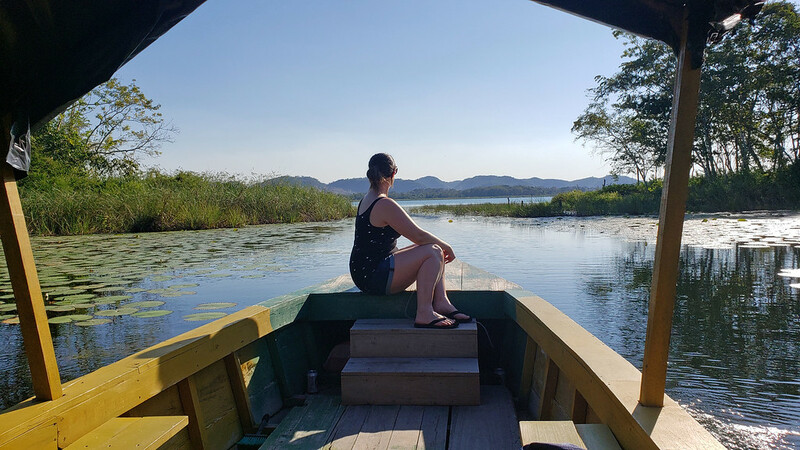 flew to Flores, Guatemala prepared to get sweaty, dirty, and work hard with the goal of helping animals. This particular wildlife conservation project does so much good in the world for animals. I hope that I can show you a bit of that message in my latest Guatemala video. There are a few important messages that I hope to express in this informational travel vlog / Guatemala video. 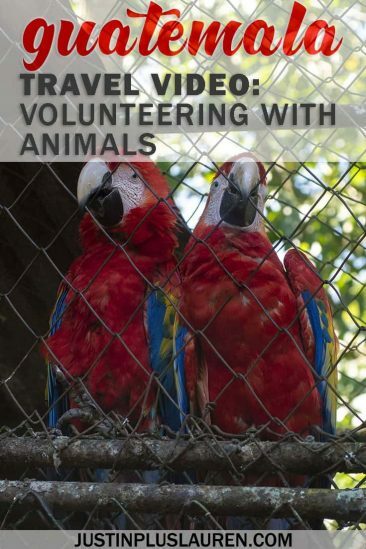 How can you volunteer helping animals? 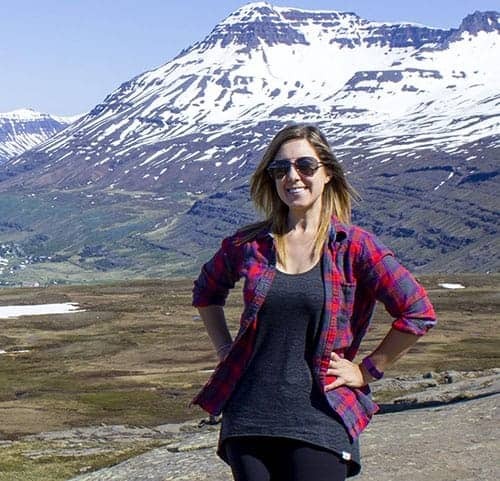 Can I visit without volunteering? Did you have any downtime while volunteering? 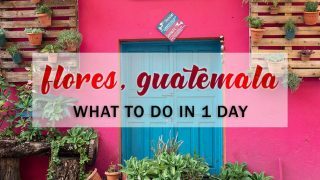 So, what did I do in Guatemala exactly? I go into much greater detail in this blog post all about my volunteer trip to Guatemala. 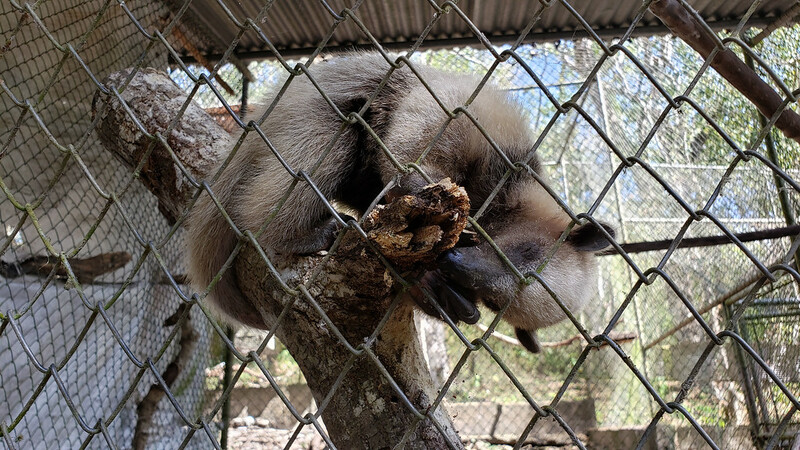 Essentially, there are hundreds and hundreds of animals that are confiscated annual by the Guatemalan government. Animal trafficking is the third largest illegal source of income in the world. 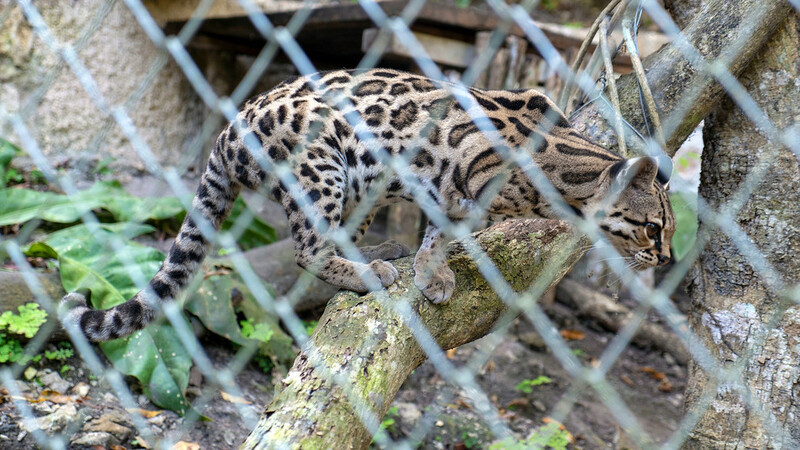 As there’s a vast array of wildlife in Guatemala, traffickers steal animals from the wild and sell them on the black market. Not only does this harm the animals and contribute to species extinction, it’s mostly for the illegal pet trade. If people stopped purchasing these animals as pets (I’m talking parrots, macaws, monkeys, and the list goes on…), the demand would drop for the animals, and I’d hope that they’d be smuggled far less. 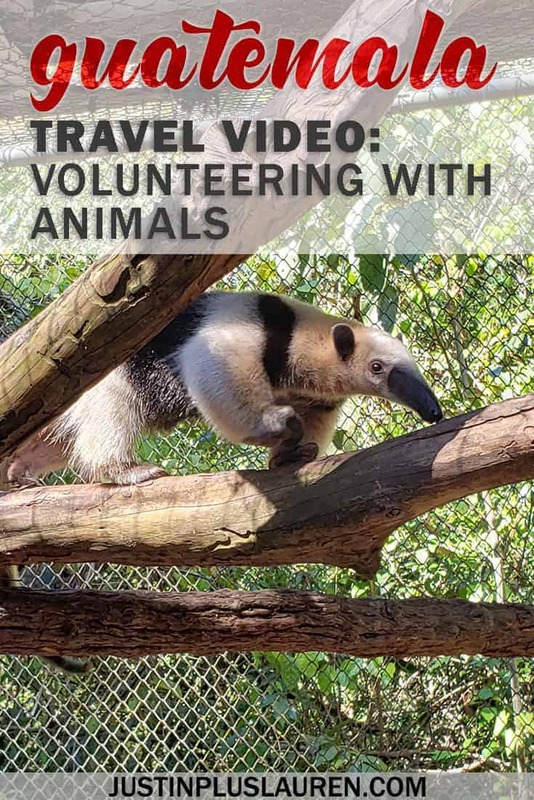 While there are permanent local employees and veterinarians working at the wildlife rescue center, volunteers are essential to its operations. As a non-profit organization, they put every cent towards the care, rehabilitation, and eventual release of the animals. It does cost money to go there and volunteer. However, all of the proceeds are put right into the operation costs of the center. Volunteers care for many animals each day. Let me tell you, it is a lot of work to care for all of these animals. They eat up to three times daily and we clean up after them to ensure that they have clean and sanitary living spaces. There are so many chores around the wildlife center that can seem endless. You can go there all year long to help as they always need extra hands. Just ask my friends over at Animal Experience International how you can help! 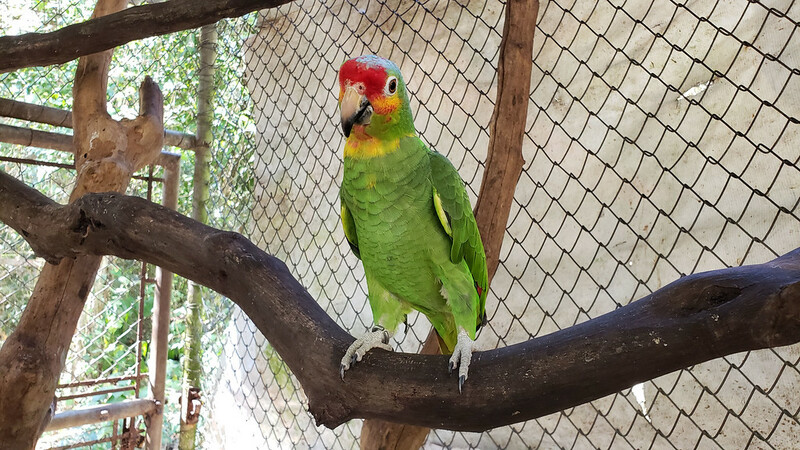 As a traveler, you can go to the education center at the wildlife rescue center. 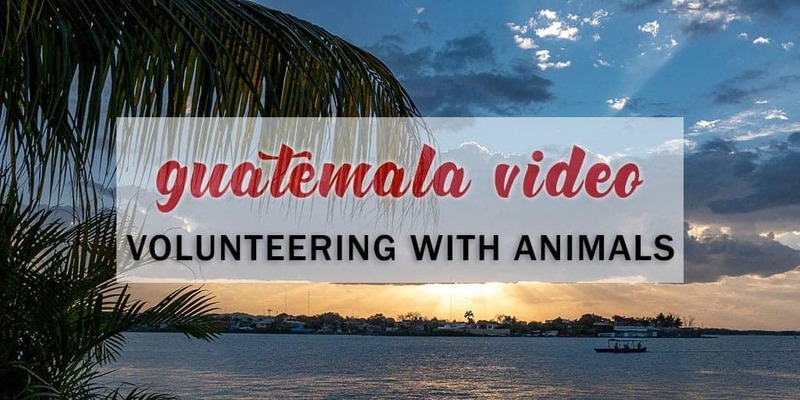 If you take a look at the above Guatemala video, you’ll see some of the animals towards the end of it at the education center. 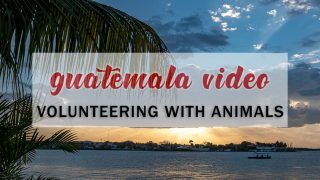 Tourists, travelers, and locals can go there for the day to learn more about wildlife in Guatemala. It’s also a great opportunity to make a donation to the wildlife rescue center. These are the animals that can’t be released into the wild for a variety of reasons (past injuries, too much human imprint, etc). 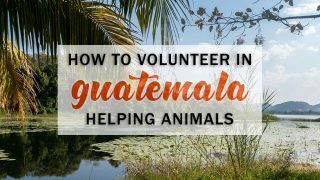 Please check out my blog post about volunteering in Guatemala for more details. If you’re just visiting for the day, you won’t be able to see the animals in the recuperation and quarantine area. Even though the volunteers work with these animals, they really try to limit the amount of human contact towards these animals as much as possible. These animals will eventually be released into the wild, and the goal is to have them become wild animals again. It can take up to 8 years to rehabilitate and release a monkey, so it takes a lot of time and effort. Yes! I outlined this a little bit in the above Guatemala video. We worked each day from 6:30am – 3:00pm. Even though we typically went to sleep around 9 at night, we had a few hours in the late afternoon and evening. We could relax near the volunteer house in hammocks or take a day trip across to the island of Flores. 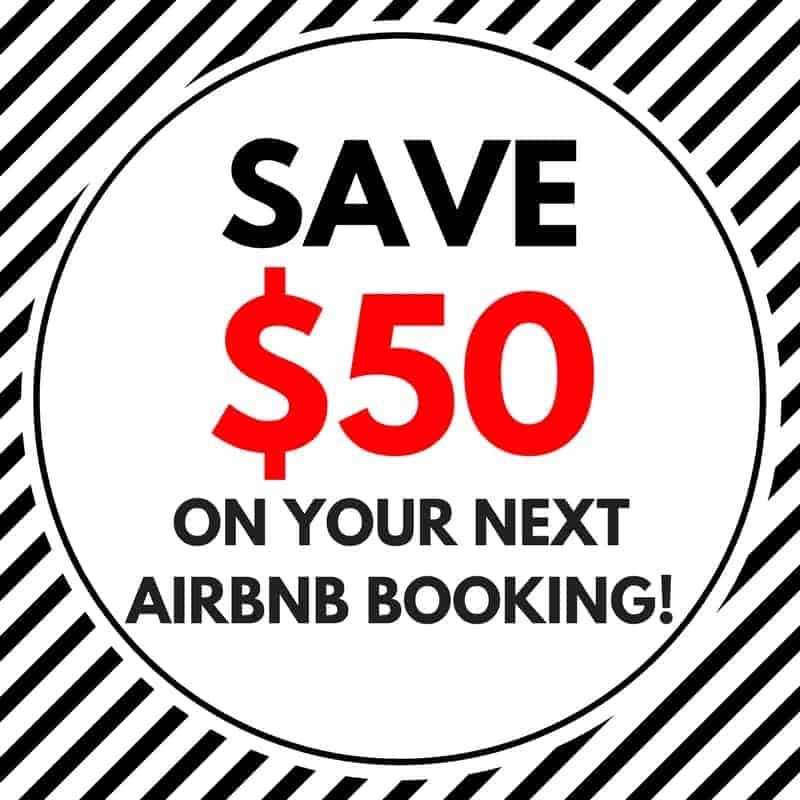 It’s also possible to take a full day trip (or overnight trip!) 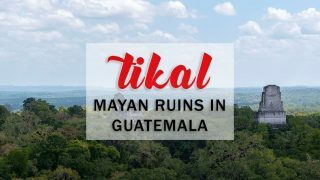 to Tikal National Park, which is not too far away. I’m always happy to help! Please let me know if you have any questions about animal volunteer opportunities. I made a video a few years back about my first overseas volunteer work with animals in Kenya. There are so many ways that you can travel to help animals worldwide. Volunteering helping animals is such a rewarding experience. With the projects I’ve assisted with, whether they’re hands on work with Guatemala wildlife or citizen science projects like in Kenya, I’ve always felt like I’ve made a difference. Contributing towards projects like these help to make the world a better place, and it really helps you find your place within the world. Have you ever wanted to take a volunteer trip to help wildlife?